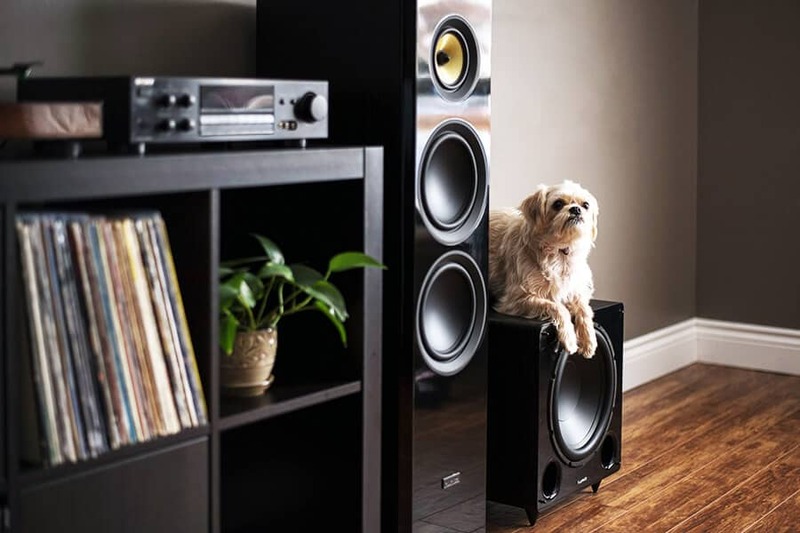 Regardless of your choice in music, and whether or not you like to blast out the neighborhood, a decent subwoofer system can really improve your listening experience, and if you live to feel that bass throb through your body, it is a necessity. Designed to play the lower frequencies, a sub ties the sounds together, running along behind and below the other frequencies. 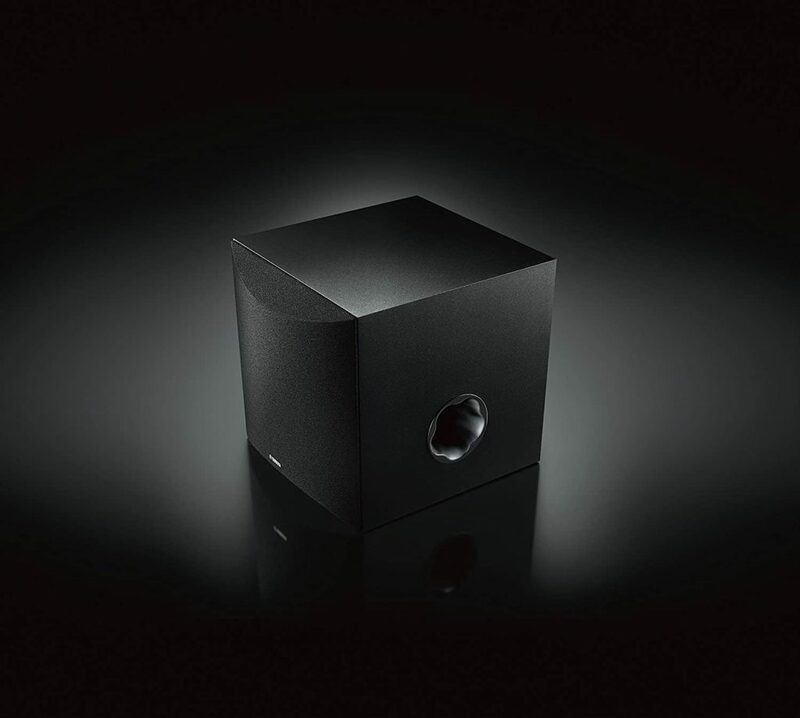 Unlike a tweeter or a midrange, a subwoofer produces a sound that seems to come from every direction at once. You’re more likely to feel low bass than hear it, as much of the sound a sub produces is inaudible to us. 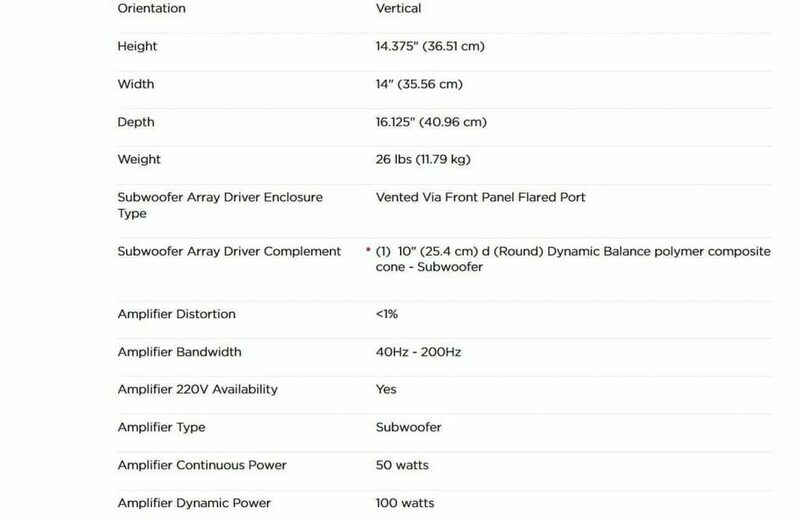 What do you need to look for when considering subwoofers? Firstly, your room’s own acoustic properties are of paramount importance. 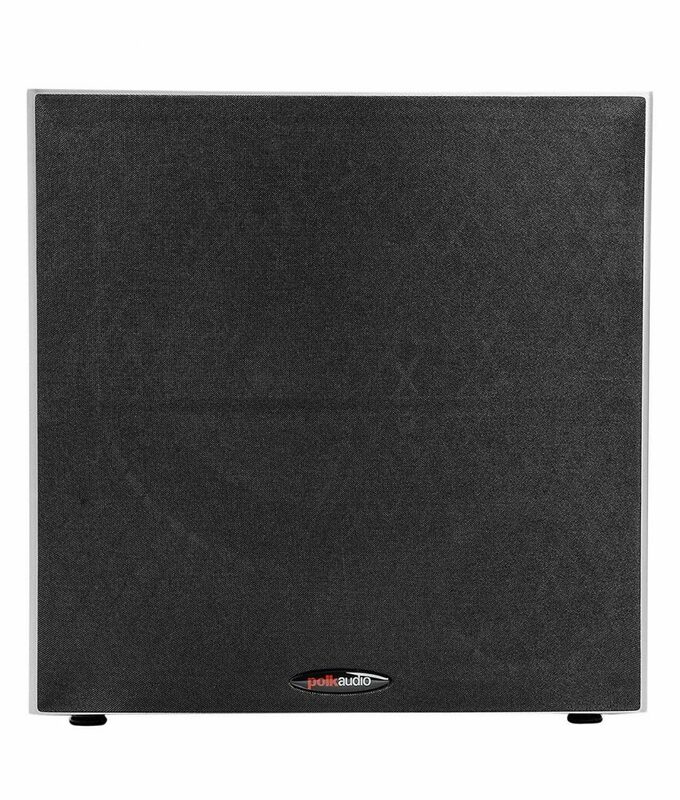 If you put the world’s best subwoofer in an acoustically poor room, you’ll get very poor bass performance! Next – size. It really does matter! 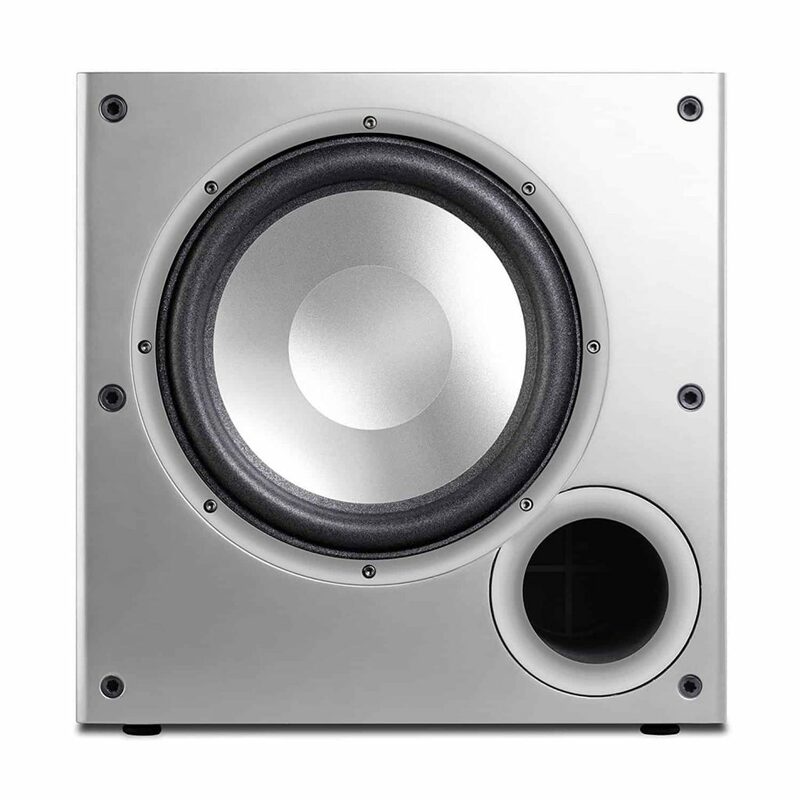 Subwoofers come in four sizes, each being suitable for a specific use or sound. The smallest are 8″ and 10″ subs which are ideal for pop and country music, producing a tighter, more musical bass than the larger speakers. The 12″ size is the most popular, and normally produce a great balance between responsiveness and low bass. Any genre of music sounds great from classical to rap, and movies can be an unforgettable experience. The largest, 15″, are probably too much for the average home, and are best suited for rap, hip hop and blowing out your windows, setting off car alarms and scaring cats fifty blocks away. Most stereo systems have two main speakers, yet we tend to have only one subwoofer. The reason is connected to acoustics and our ability to differentiate where sound is coming from. For frequencies below about 700Hz, our hearing demonstrates a marked difference between a sound being heard by each ear, whereas with higher frequencies there is very little difference. Out of doors, our ability to determine a sound’s direction remains quite accurate down to quite low frequencies, but this ability collapses when listening indoors. Indoors we tend to hear sound omnidirectionally, so there is no need to have two subs. Finally, wired or wireless? 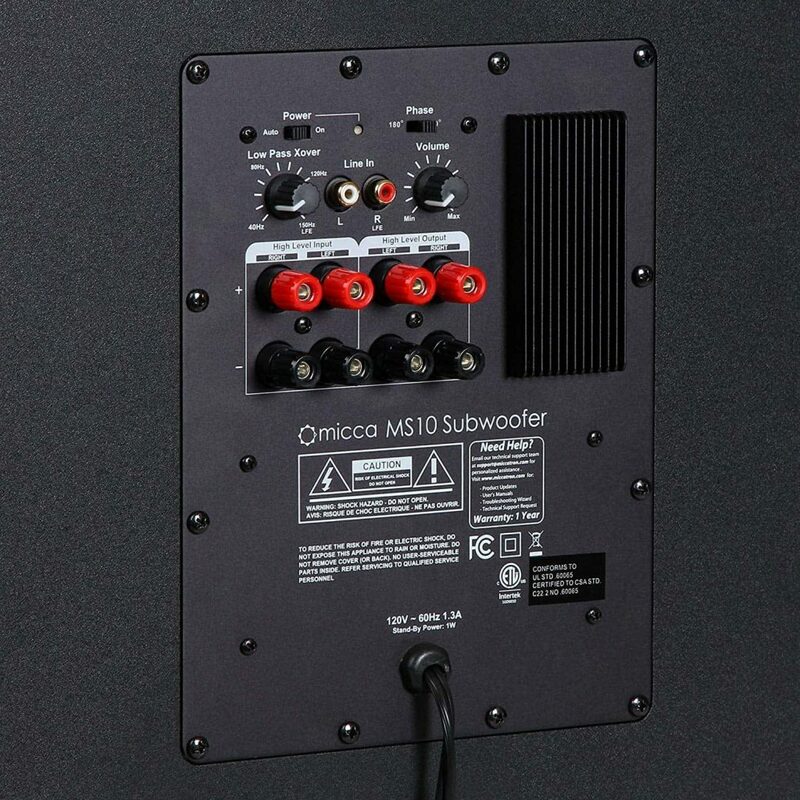 A growing number of subwoofers offer wireless connectivity. This makes a lot of sense as they have their own built-in amplifiers. The wireless capability also eliminates the need for a long connection cable. 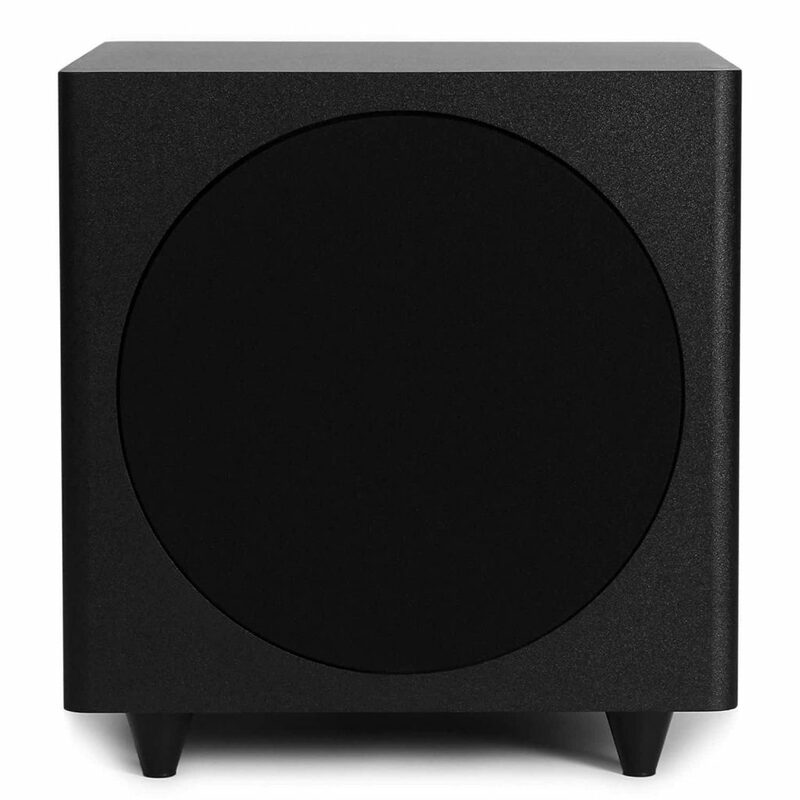 This Polk Subwoofer is compact, reassuringly robust and comfortably weighty. The box surround, available in black or cherry, has a stylish titanium-finish front baffle, giving it a great professional appearance. For the price, we were pleasantly surprised at the quality of sound the Polk produced. Its bass output was detailed and clear without being overpowering. Movie audios thrummed through us, rich and deep, and music playback it was equally adept. It proved to be agile, accurate and all consuming. It would be nice to see a direct LFE connection included. 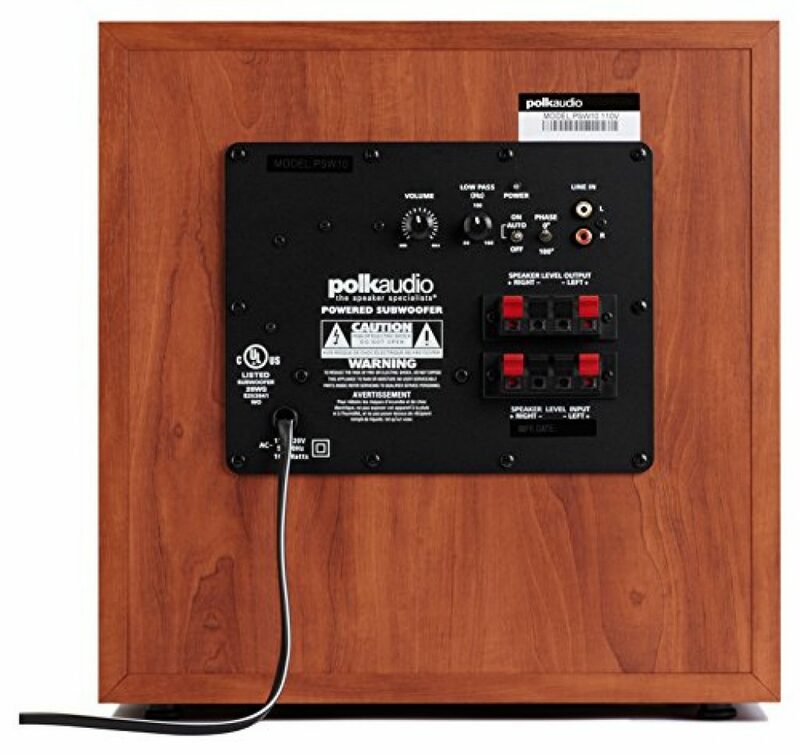 The Polk PSW10 delivers great value for money and super bass output. It compliments most home audio systems and is simple to setup. The design is sleek and blends in nicely in a modern home. All in all, this is an excellent sub, which we’re happy to recommend. Yamaha immediately sets themselves apart from the rest of the pack with the look of the NS-SW050. The front exterior is as clean as they come, and the back only features an input, volume/power knobs, and attached power cable. Striking an impressive balance between minimalism and flair, this is looking good so far. There’s no escaping the fact this is a small subwoofer, but it boasts an unusually deep frequency range for a speaker of its size. Subwoofers this size – it has an 8-inch driver, usually don’t get down to the lowest frequencies, but this copes admirably. It has a warm and natural sound, and we could feel the bass rumble under our feet. 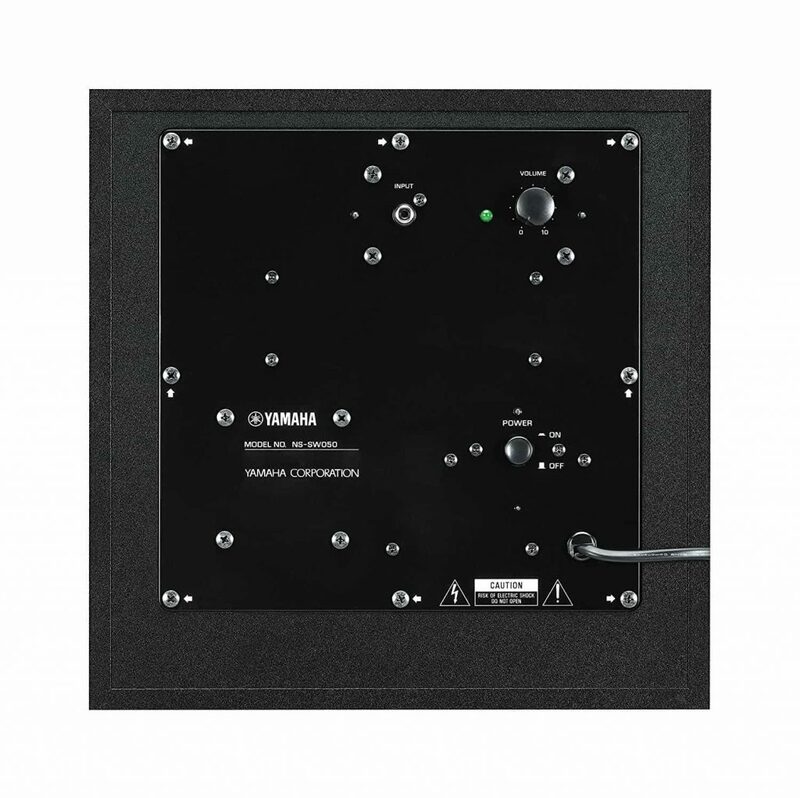 The reason for this is Yamaha have made the speaker and amplifier work together to cancel out impedance, so the speaker has perfectly linear motion. The lack of auto signal sensing could be an issue, but for us it isn’t a deal breaker. 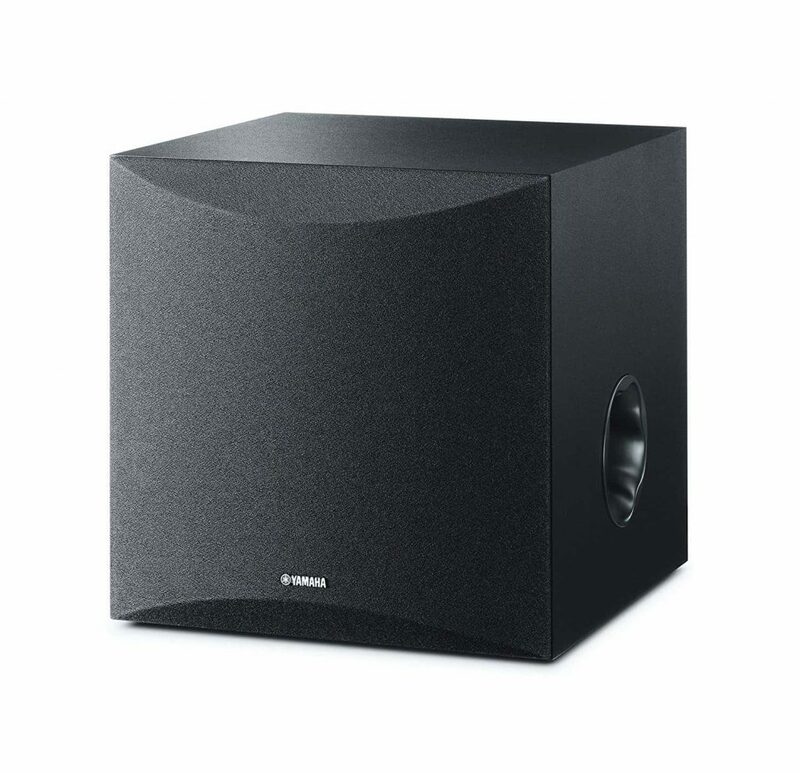 The Yamaha NS-SW 050 is a fantastic subwoofer at an even more fantastic price. It packs an impressive punch but is easy to hide it away in a corner. The cube-shape cabinet, although large and heavy, is classic and stylish. It is solidly made and finished in slick black laminate. The mesh grille can be removed, allowing the cool, black-trimmed metallic cone to be displayed, if you prefer – we did. 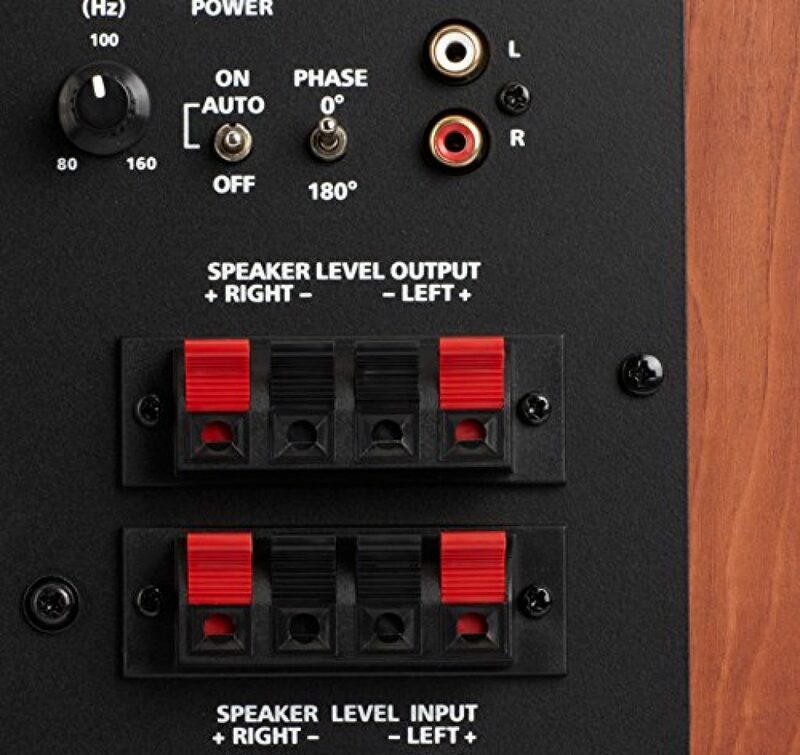 The sub-in connector allowed us to switch easily between a Dolby Pro-Logic receiver and a Dolby Digital 5.1, 6.1, 7.1 or DTS surround-sound receiver – this is a nice touch. The vibrational bass coming from this, cranked up, would affect small aircraft – it is impressively powerful for a home audio/theater system. We constantly had to check our volume meter as the impactful bass response seemed louder than it actually was. Unfortunately, if you have a small room, this isn’t the speaker for you – it’s just too powerful. 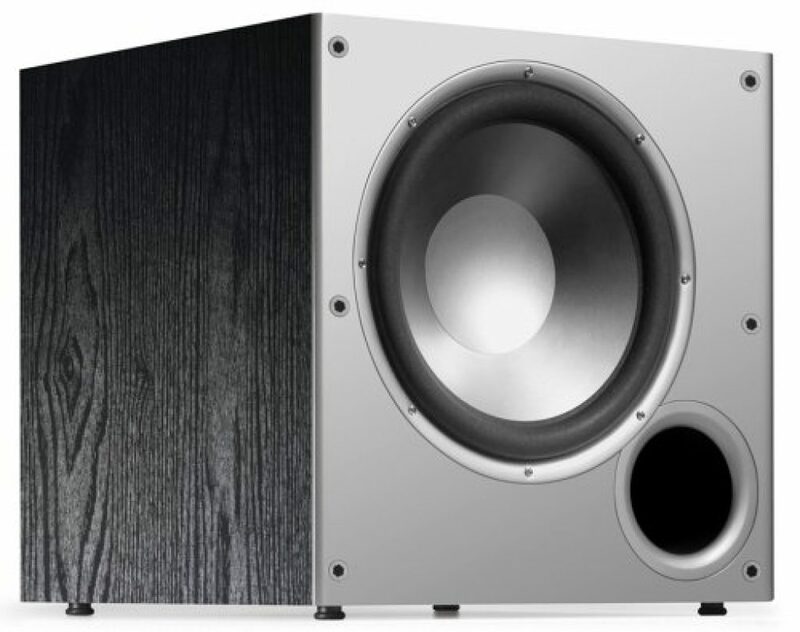 This subwoofer impressed us with punchy and impactful bass. This subwoofer is a cost-effective solution for upgrading the boom in your room. We’re happy to give this a high five (when we stop vibrating). This Klipsch is pretty large and heavy. 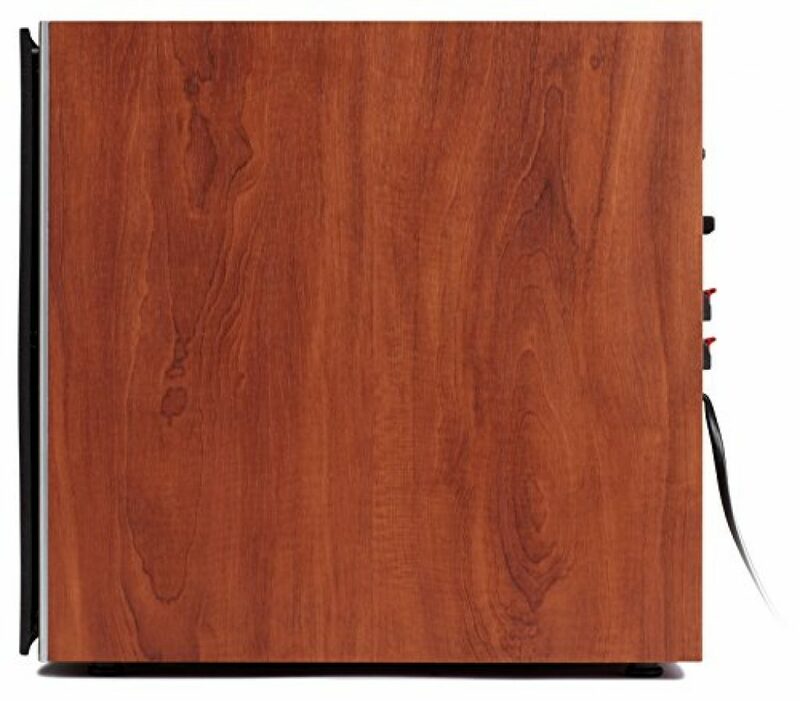 Luckily, subwoofers rarely need to be moved once they are set up, and a heavy cabinet is a good indicator of durability. The black veneer looks smart, and due to the front firing ports, this can be pushed up close to a wall if necessary. With a removable grille, the, quite frankly gorgeous, warm copper cone can become a feature. Being the Nerds that we are, of course Star Wars just had to come out. We could easily hear the difference between the soft but powerful whoosh of lightsabers and the sharper sounds of blaster fire. It holds its own perfectly against the more expensive speakers. The sound is tight, clear and has no distortion whether watching movies, TV or listening to music. There is a tiny bright green glowing power light on the front of the speaker that can be a bit intrusive in a dimmed room; we just put some tape over it – problem solved. 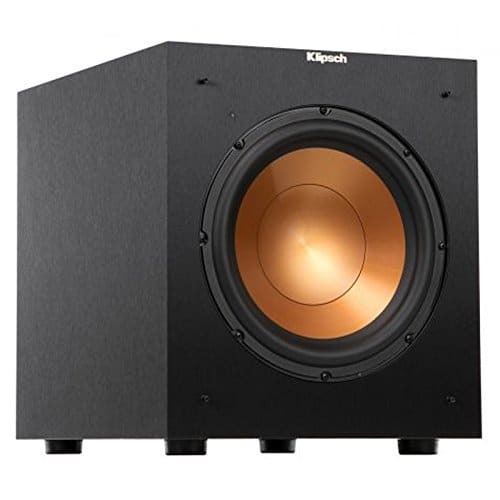 The Klipsch R-10SW has enough power and range to fill, and escape from, any size of room with a stomach churning, floor-rumbling bass, and comes at a great price. Our initial impressions were good, with its slick black exterior, fronted by a curved steel grille. It’s a clean but functional looking finish that disappears into a dimly lit room easily. The SVS SB12 is a super light 35lbs, so unpacking and moving it around are a piece of cake. All good so far. What we found impressive was the honest way in which the SVS ran up against its limits. Whereas you normally find a point where you can hear a sub that’s struggling, be it the amp clipping, or driver starting to run out of travel and backing off, the SVS seems to just continue playing unfazed. Even when we cranked up the volume it never failed to give us the quantity and quality of bass we were after. 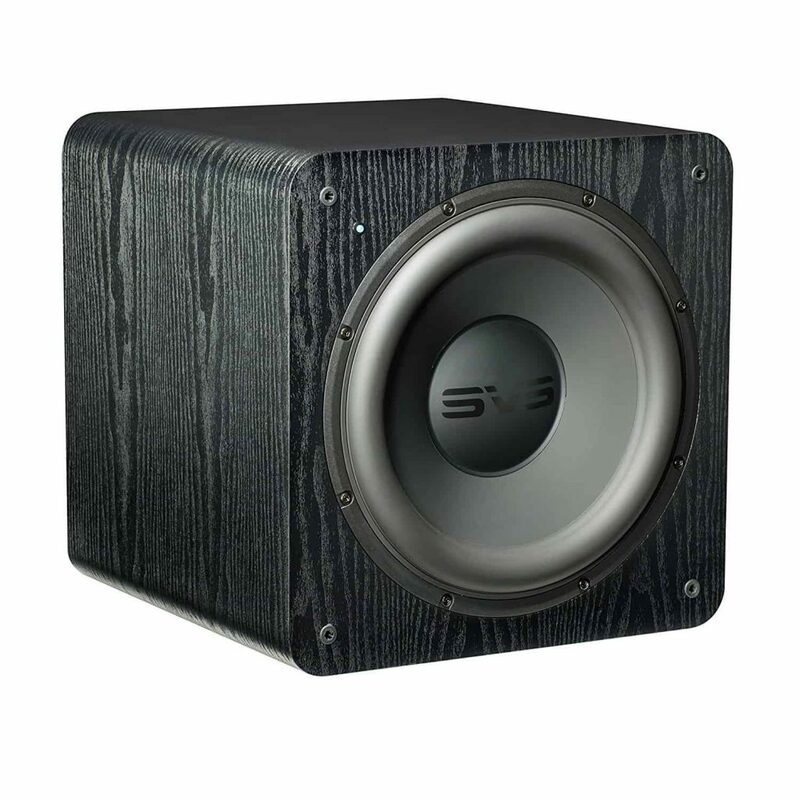 Movies like the bass-intensive LOTR showed that the SVS could easily deliver all the bass we wanted and more. The only real criticism we have is aimed at the Sledge amplifier which seems give off a barely perceptible hiss. It’s very low level and doesn’t increase, or decrease, with the settings, but it’s there nonetheless. 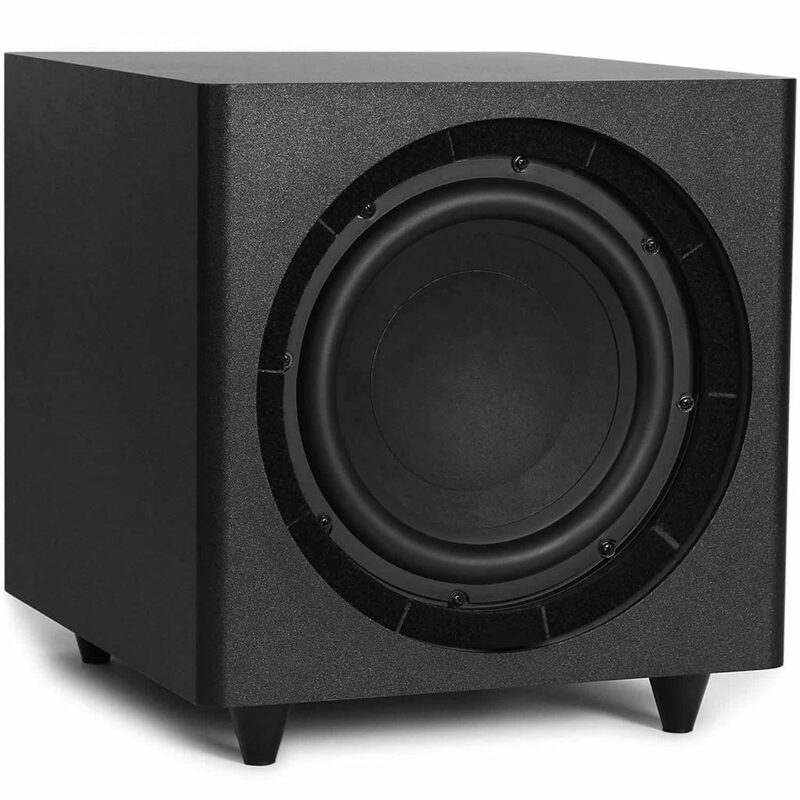 If you want a mid-tier unit without breaking the bank, or if you want big sound from a subwoofer that doesn’t take up too much space, the SVS SB12-NSD should be high on your list. The deep clean bass the SB12 produces will improve the experience of just about anything you listen to. 14" cube and only 35 pounds - easy to move and locate anywhere. Stylish curved metal grille. Perfect for college dorms, apartments and small home theaters, the SB12-NSD will satisfy your craving for that famous SVS sound in an attractive, lightweight and compact form factor. Small never had it so good - naturally from SVS. What else is hot at The Gadget Nerds?